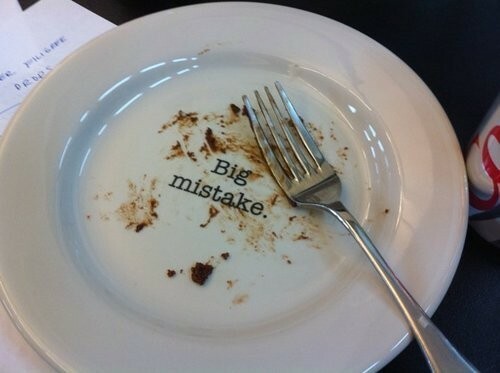 Big Mistake Plate | OhGizmo! This should help out with those new years’ resolutions. Until you smash it to the ground in frustration, of course. This will certainly give you motivation to hit the gym or workout after eating something like a piece of chocolate cake. HAHA – I make that mistake often!! !